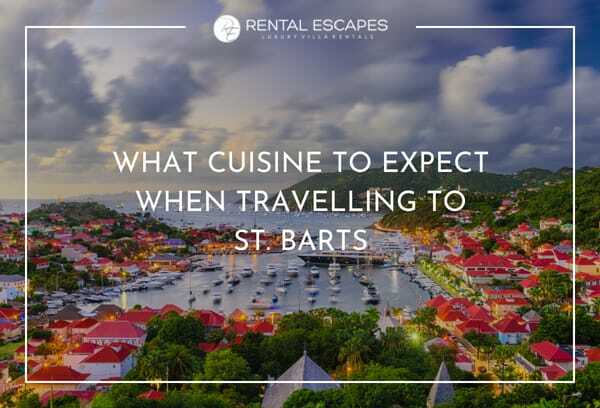 A very popular choice among food-lovers and foodies worldwide, the Caribbean island of St. Barts offers cuisine that is colourful, varied, and at once a testament to its rich, multicultural history. The island’s dishes are a mix of African, French, Creole, Italian, Indian, Asian, Caribbean and others. Its heavy French influence means gastronomy is taken very seriously, and dishes prepared to four-star standards are very common. Casual beachside joints serving classic Creole dishes to the masses are also par for the course. Fresh seafood and quality produce are abundantly available island staples. It’s hardly surprising that St. Bart’s cuisine is so well-loved. More than 70 restaurants can be found on the island, including spots where “les petits creux” (snacks) are offered to hungry travellers. La Gloriette in Grand Cul de Sac is a beachside dining spot known for its accras, a Creole classic consisting of salt cod fritters served in a spicy sauce. Go for lunch and revel in the shade provided by the surrounding Coccoloba trees, or try their artisanal pizzas at night. 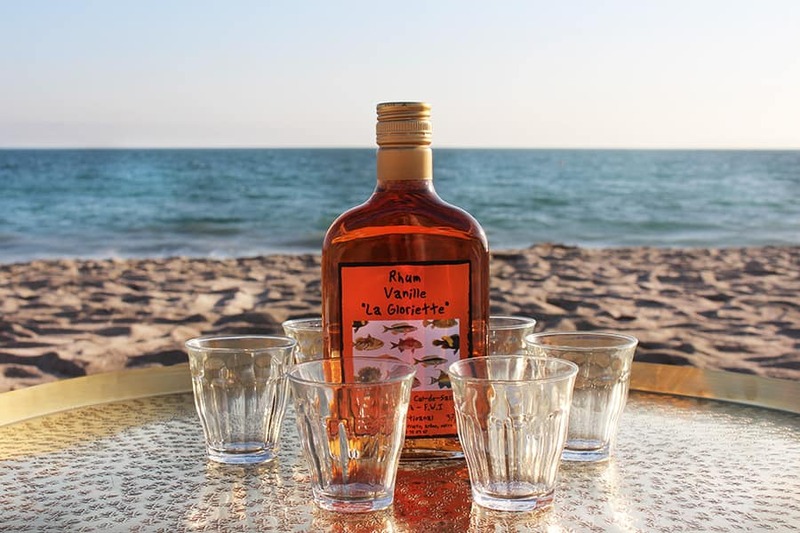 Be sure to taste test some of their island-made rums! Located poolside, the French restaurant Le Mango offers a breathtaking view of the ocean and surrounding islands. This popular spot offers delicious cocktails and a light cuisine consisting of unique salads, and beautifully grilled fresh seafood, including their famous red snapper in a signature Creole sauce. Eddy’s was named after a sailing sloop which once belonged to the friendly owner. This restaurant offers hungry diners a range of inspired local fish dishes with flourishes of French Polynesian style and timeless wines to boot. Enjoy your meal in a charming tropical garden sheltered behind a stone wall. Led by a team of specialty chefs, Bonito fuses traditional French cuisine with Latin-inspired dishes. Frequented for its mouthwatering ceviche, homemade foie gras, and even New York steak, this five-star haunt offers an extensive menu, a waterside locale, laid-back decor, and a vibe to match. 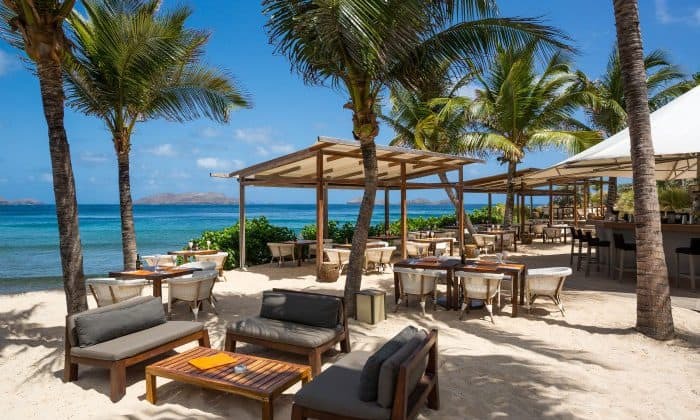 St. Barts is popular with wine connoisseurs from near and far. La Cave de Saint Bathelemy in Marigot, founded in 1979, is reportedly the largest wine cellar in the Caribbean, at 6000 square feet. The cellar stocks some 200,000 bottles including 300 varieties of French wine. A well-known wine store in Gustavia, Vinissimo, stocks around 400,000 bottles. Also of note is Le Gout du Vin, which offers more than 800 wines from around the world, including Italian, Spanish, Australian, and Chilean, as well as champagnes and high-quality fine liquors. 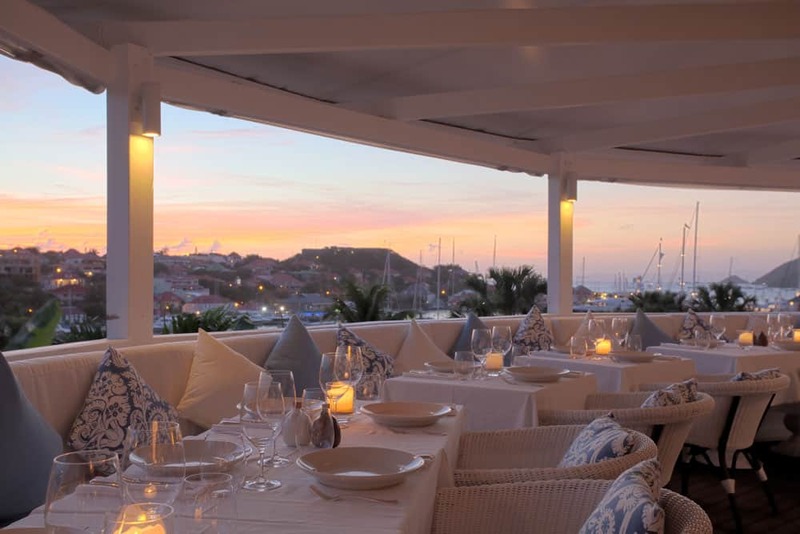 One thing is for sure: no matter where you choose to dine while visiting St. Barts, you will not be disappointed. Prepare to have your taste buds courted with all the romance of a trip to Paris, and all the flair of the Caribbean sun. It all starts with your perfect luxury vacation rental. Rental Escapes is a luxury villa rental agency based out of Montreal, Canada. We specialize in creating luxurious getaways in the worlds most beautiful destinations. © 2015 Rental Escapes, Inc. All rights reserved.